Take advantage of our "Summer Bike Week Special"
$45 for a whole week! This special includes a UL approved safety helmet, and a sturdy bicycle lock! Early Bird Special - Save money for being an early riser! 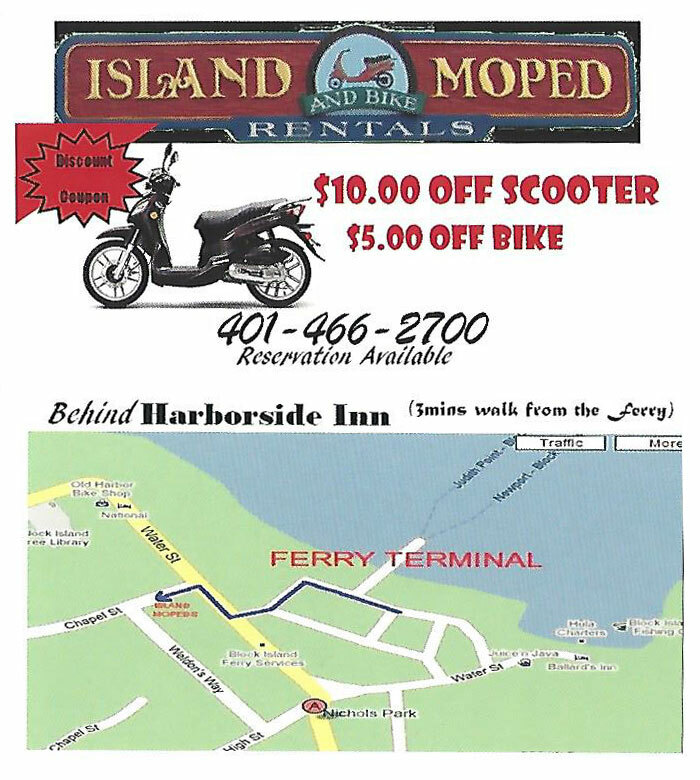 Rent a scooter from 9am to 11am for only $45! Special pricing & discounts change daily, please call us for the latest information and to make your reservation: (401) 466-2700.